Colory is a packaging concept from Brazilian designer Gilnei Silva. 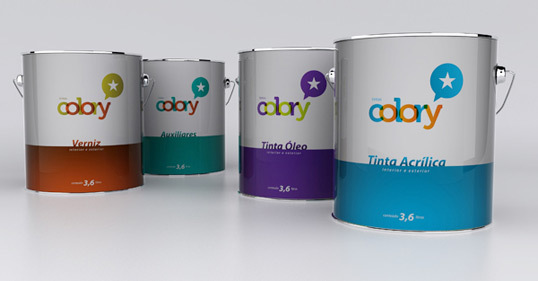 The colors on each can are used to identify the different type of paint bases, acrylic, oil, etc. this one looks great !!! but the colors … hhmmmm … too poor. Anyway, the packaging looks great !! the bottom part can change but the top, why!? Nice work. 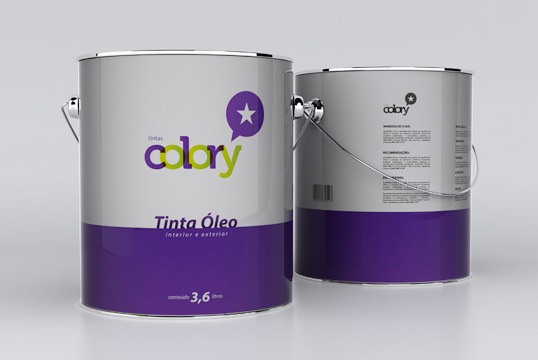 This package is a good example of STRONG paint can design, there needs to be more of these!